Providing new revenue streams and business opportunities for AFS members. We're always interested in exploring new partnerships. Contact us and we'll customize a program for you! Matrix is among the world’s premier commercial fitness brands. With a comprehensive portfolio of over 400 products offered throughout 24 subsidiaries worldwide, Matrix continues to push the boundaries of fitness. Matrix is the commercial brand of Johnson Health Tech Co Ltd. (JHT), one of the largest manufacturers of fitness equipment in the world. With 40 years of experience, JHT has the intellectual resources necessary to produce the most technologically advanced equipment on the market and the economies of scale needed to deliver the best value possible. MYZONE is a wearable technology platform that is designed to increase the lifetime value of your member. MYZONE uses live in club heart rate tracking, smartphone based gamification, and social media mechanisms to track, incentivize and keep your members accountable to the effort they apply. It is this digital engagement that enhances their brick and mortar experience, building value in the personal training experience, while also helping the member with their initial on boarding and continued engagement in exercise. Since 1985, Sports & Fitness Insurance Corporation has focused solely on the health & fitness industry. We insure everyone from personal trainers and instructors to independent fitness studios and nationwide franchises—all with a wealth of expertise won through years of experience. Our team has more than a century of combined experience in health & fitness. We understand the specific exposures common to this unique industry, so we can offer each one of our insureds the most appropriate, affordable and comprehensive fitness insurance coverage available for their businesses. SportsArt is an industry leader in providing innovative commercial grade fitness products for the fitness, performance and medical markets. From our energy producing Eco-Powr line to our life changing rehabilitative ICARE solution, SportsArt is committed to helping people find their best self. With over 500,000 square feet of state-of- the-art manufacturing space, SportsArt designs, manufactures and tests all equipment to rigorous TÜV quality standards. With hundreds of patents worldwide for innovation technologies, such as the fitness first SENZATM interface or the newly relaunched ECO-POWRTM Series, SportsArt is the leading green fitness partner, developing products that are instrumental to rebuilding and sustaining lives. The fitness and nutrition industry is broken. Everything is about collecting information and data but the major tenets of behavior change, accountability, and coaching get ignored. We steer away from software because it slows us down, is cumbersome, and is an overall pain to use. Most software doesn't actually make our lives easier or improve our ability to do what we do best, coach. Our mission at Coach Catalyst is to give you back the one non-renewable resource you want more of, time. All while driving forward the 3 tenets of your business: revenue, results, and retention. FitGrid helps studios harness the power of their community to increase growth and maximize returns. Our tools not only allow studios to view instructor progress, insights and results, it also allows them to understand who their clients are, where they are dropping off, and the level of energy and chatter that exists within their community. 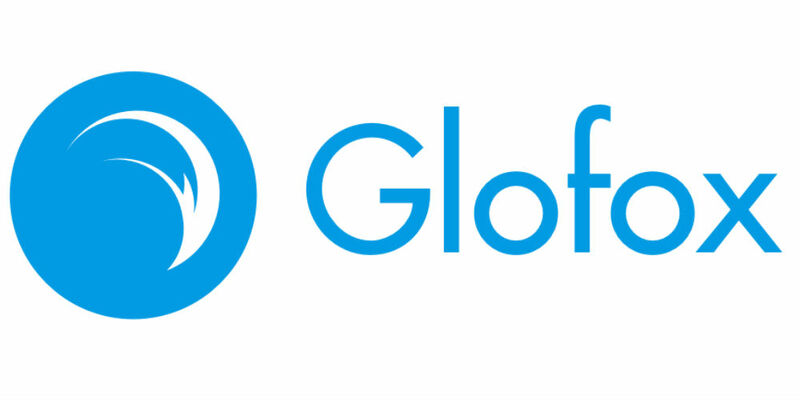 Glofox is the complete gym and studio management software for owners who want to take the repetitive admin out of managing a fitness business. With clever automations, you stay in control of your business, so you don't have to sweat the small stuff: from scheduling and member management right up to payments and reporting. Merrithew™ was co-founded by Lindsay and Moira Merrithew in 1988. For over 25 years Merrithew™have been dedicated to enriching the lives of others by providing responsible exercise modalities and innovative fitness brands across the globe. Merrithew’s premier Pilates brand, STOTT PILATES®, delivers best-in-class Pilates education and media to everyone from avid exercisers, elite athletes, and pre/post-natal clients, to rehab and fitness professionals, and is used by studios worldwide. Other high-end Merrithew™ fitness brands include ZEN∙GA™, Total Barre™ and CORE™ Athletic Conditioning & Performance Training™. Life Fitness brands offer something for every level of exerciser, from inviting cardio workouts and individual strength training to functional and performance small group training. A wide range of accessories provides everything that a fitness studio needs to create energetic and exciting environments. The Precor mission is to develop personalized health and fitness experiences that help people live the lives they desire. Precor designs and builds premium commercial fitness equipment for workouts that feel smooth and natural. Precor's professional gym equipment is chosen by fitness clubs, hotels, spas, and individual exercisers in over 90 countries across the world. For nearly three decades, Precor has driven fitness forward with a passionate focus on ergonomic motion, proven science, and superior engineering. Precor constantly studies and anticipates the needs of the people and organizations they serve, and continually redefine the levels of innovation, quality, and service necessary to deliver the very best fitness experiences – all with the goal of improving the ways people improve themselves. That’s why Precor is proud to provide gyms with some of the very best professional treadmills, elliptical fitness crosstrainers (EFX), bikes and strength equipment available on the market today. Precor is a global fitness industry leader, committed to innovation and expansion of its market by identifying and meeting user needs. Precor shares passion for fitness through products and services that inspire users to move toward their goals and beyond. RealRyder® International LLC, headquartered in Santa Monica, California, is the first developer of the world’s “un-stationary” indoor bike. 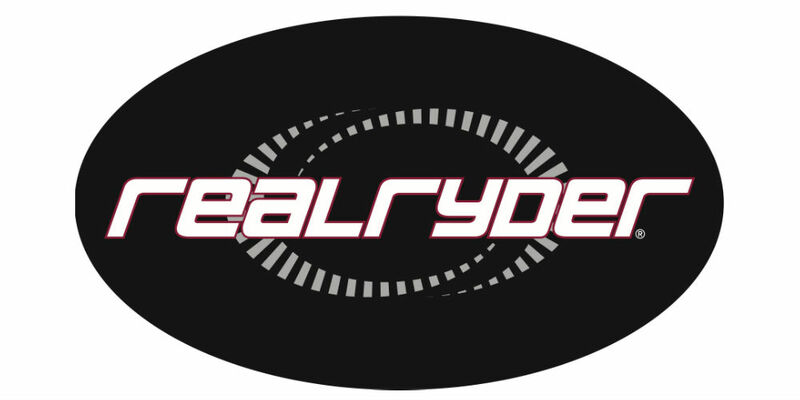 Led by a team with more than 120 combined years of fitness industry experience, RealRyder International LLC is revolutionizing indoor cycling with the RealRyder® ABF8 Indoor Cycle – a superior performance indoor bike that meets the needs of the elite cyclist or gym member for training and performance. 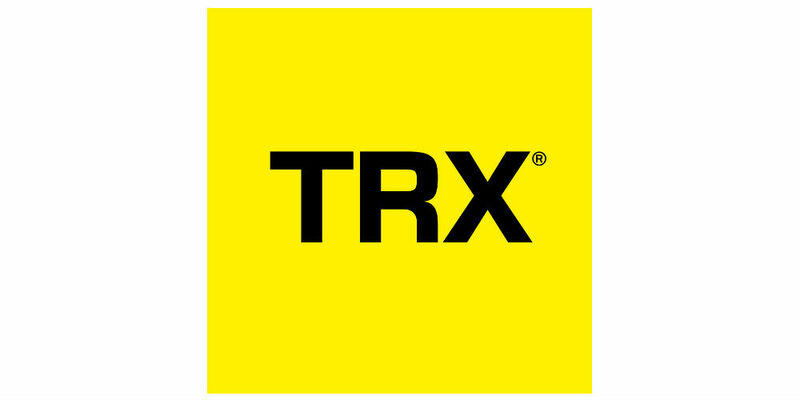 TRX® is the training world’s preeminent producer and seller of functional training programs, education and equipment for professional trainers, studios, health clubs, military, fitness-oriented consumers and athletes of all levels. TRX designs and sells original products of innovative design and premium quality construction, including Suspension Training® Functional Training Tools, customized anchoring solutions, education, programming and now, technology. WindForce FIT is an "All-in-One" Digital Content Marketing & Lead Generation Software for Fitness Studios. With flexible plans to suit every budget, WindForce FIT is the turn-key solution that delivers built-in digital marketing strategy, branded marketing assets and a playbook of instructions. PHIT America is a national campaign creating a Movement for a Fit & Healthy America. PHIT America focuses on passing the PHIT Act, which will allow Americans to use pre-tax medical account for physical activity expenses. PHIT America also gives out GO! Grants to schools as well as a national education campaign. Go to PHITAmerica.org for more information. The NSCA advances the profession by supporting strength and conditioning professionals devoted to helping others discover and maximize their strengths. We disseminate research-based knowledge and its practical application by offering industry-leading certifications, research journals, career development services, and continuing education opportunities. The NSCA community is composed of more than 45,000 members and certified professionals who further industry standards as researchers, educators, strength coaches, personal trainers, and other roles in related fields. 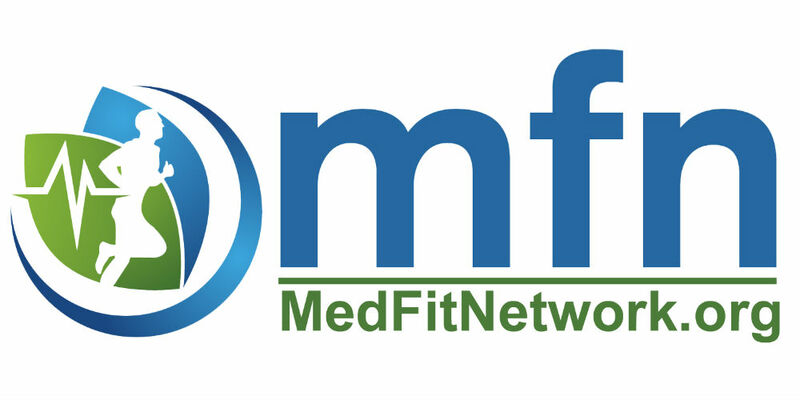 As the most trusted media source for fitness business professionals, our mission is to connect buyers and sellers through a portfolio of products that offers news, education, business solutions and strategies. We build community by providing forums filled with high-quality content, relevant information, dynamic meetings and networking opportunities critical to industry decision makers. The MFN believes that exercise is valuable for those with chronic health & medical conditions. Developing a plan for a regular exercise & wellness program can be difficult for these people; The MFN mission is to improve the quality of life for those with chronic medical conditions or who need pre or postnatal care help by connecting them to fitness & healthcare professionals with an interest and background in the treatment and rehabilitation of various diseases and medical conditions. Zumba® Fitness is a global lifestyle brand that fuses fitness, entertainment and culture into an exhilarating dance-party workout. Coined “fitness-parties,” Zumba classes blend upbeat world rhythms with easy-to-follow choreography, which provide effective, total-body workouts. Founded in 2001, the company is now the largest branded fitness program in the world -- reporting more than 14 million weekly class participants, in over 140,000 locations, across more than 150 countries. The National Council for Certified Personal Trainers has been in business since 1995 and has certified thousands of students. It currently offers 10 certifications and a variety of Continuing Education Courses. The Certified Personal Trainer Credential (CPT) is nationally accredited through the NCCA, (National Commission for Certifying Agencies). All the certifications offer Continuing Educational Units (CEU’s) for NASM, AFAA, NESTA and ISSA. The NCCPT prides itself in presenting the science in an applicable manner so that students may readily apply the science to their clients. 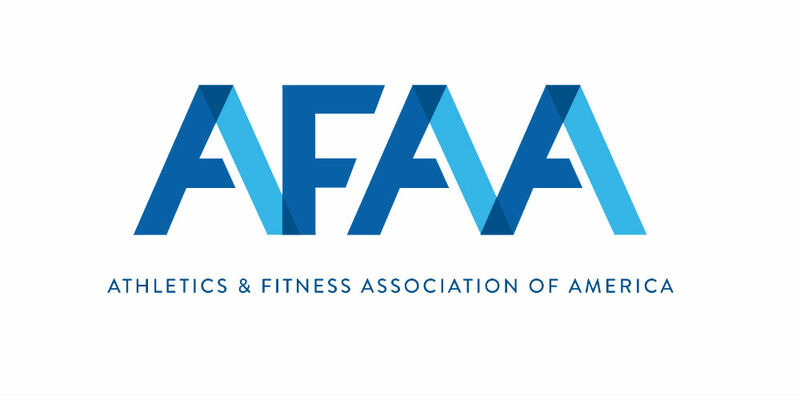 AFAA, the Group Ex Experts, upholds Basic Exercise Standards and Guidelines for safe fitness practice. AFAA believes that when you change bodies you change lives, and that being a group or personal trainer is about much more than just knowing the exercise or routine. ClubIntel is the club industry’s leading member and brand insights firm. We are passionate about helping clubs and equipment manufacturers understand, appreciate and leverage clients’/members’ needs, wants, and personal journeys, leading to a more engaged and loyal client/member base, happier employees, and long-lasting profitability. To revolutionize the way corporate America values employee well-being by correlating improved employee health and employee engagement with decreased human resources costs and improved financial performance. For over 25 years, we have impacted 10 million lives at hundreds of diverse organizations. We pride ourselves onconnecting employee engagement with company performance and accurately proving it, ensuring that employees are engaged and making long-term behavioral changes while impacting our clients’ bottom line. Start a new career with a quality, accredited certification from American Council on Exercise, the largest nonprofit health and fitness certification organization in the world. In addition to offering Personal Trainer, Group Fitness Instructor, Health Coach, and Medical Exercise Specialist programs, ACE provides quality continuing education to health and fitness professionals and protects the public with reliable, science-based information on ACEfitness.org. 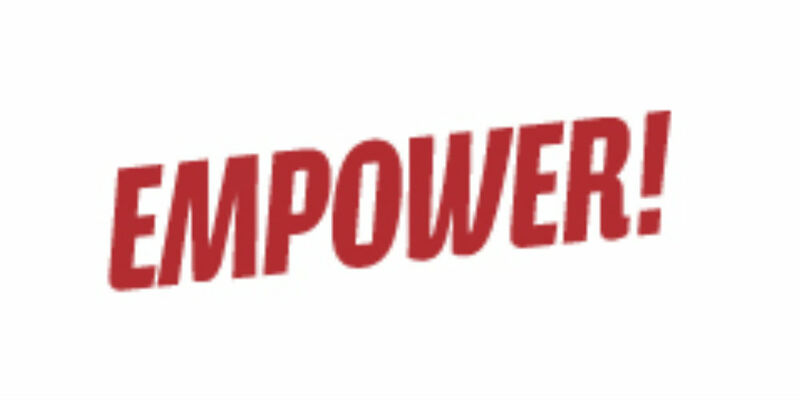 EMPOWER! events are regarded as Weekend Fitness Celebrations, designed especially for fitness and mind-body professionals as well as enthusiasts. EMPOWER! is a culmination of efforts to give back to the community by creating opportunities for growth and celebration for all who join. The mission is to empower all fitness professionals and enthusiasts with the knowledge and tools necessary to live their best life and make the most positive impact possible on the lives and well being of others. 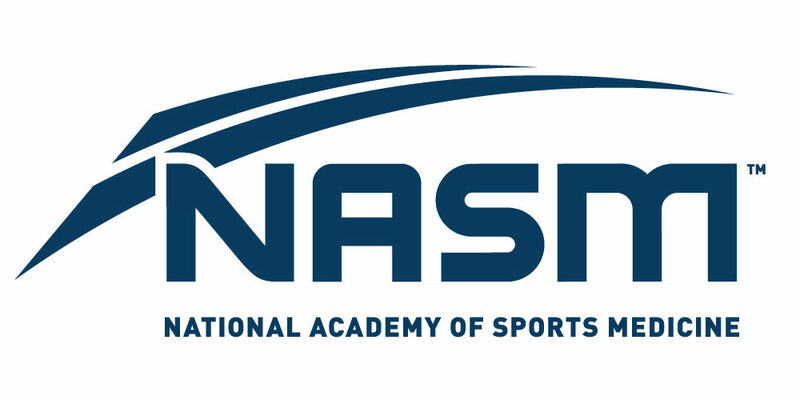 For 30 years, and counting, the National Academy of Sports Medicine (NASM) has set the standard in certification, continuing education, solutions and tools for health and fitness, sports performance and sports medicine professionals. NASM has pioneered evidence-based health and fitness solutions that optimize physical performance and allow individuals to achieve a variety of fitness activity goals. 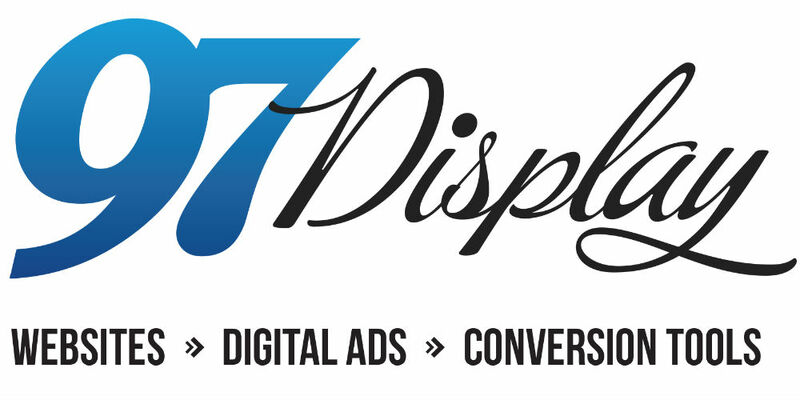 97 Display provides websites, digital advertisements, and SEO for fitness businesses. Hundreds of fitness businesses worldwide trust 97 Display with their internet marketing needs because of their unique lead generating system and effective results. ACCUNIQ, distributed by Spartan Wellness Technology, is a Global leader of Body Composition Analyzers, committed to providing the most accurate, innovative, functional units on the market. ACCUNIQ is sold through partners like Spartan Wellness Technology. Accuro is a company with 15+ years in the business of data capturing, private cloud storage, data management and analysis services for the fitness industry. Products offered cover a wide range of hardware devices from wireless enabled body composition scales, blood pressure meters, and heart rate monitors to the data collection and management app, heart rate projection program and cloud-based member vital data profile. Our vision is to offer the fitness industry the infrastructure on which clubs and studios can build their services and brand awareness to their members. Obtain more members and more revenue through ASH Fitness. ASH Fitness contracts with fitness studios to attract new members and reimburse fitness studios for the membership or sessions. ASH Fitness contracts with over 100 health plans and employer groups nationally and has access to over 150 million eligible members. Balanced Habits has created the best nutrition solution in the industry. Your customers results depend on nutrition, learn how our proven nutrition solution helps you truly serve your customers while growing your business. A complete turn-key nutrition solution for your business, you'll receive all the tools, resources & know-how necessary to turn nutrition into a thriving profit center from day one. 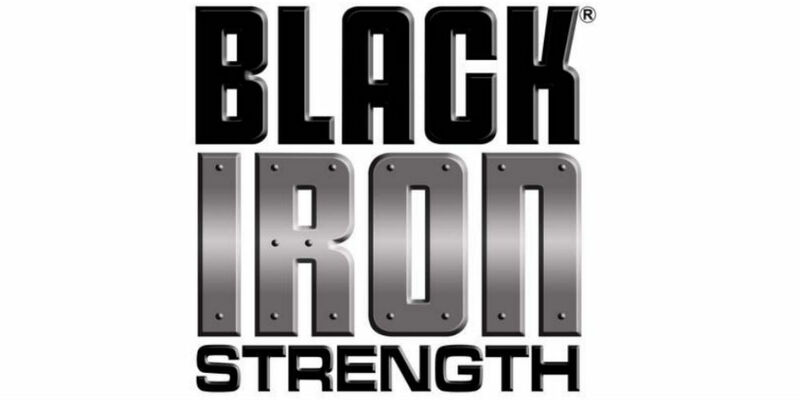 Black Iron Strength® works closely with professional teams, college teams, high-performance athletic centers, and small boutique fitness studios who want and demand the best free weight and strength equipment in the industry. The Germ Buster® line of equipment with the CuLEAN® antimicrobial copper handles by CuVerro® gives the boutique studio owner a marketing edge over the big box players since they are protecting their clients 24/7 with a self-cleaning surface that kills germs. Body-Solid, Inc. is a leading manufacturer and distributor of high-quality fitness equipment for commercial markets. 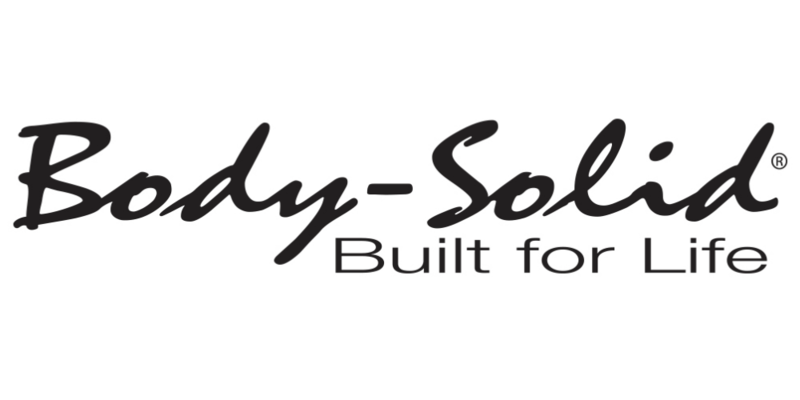 With nearly 30 years of experience, Body-Solid offers one of the widest arrays of products in the industry including selectorized single and multi-station units, free weight machines, functional equipment, a complete line of cardio products, weight plates, kettlebells, dumbbells and fitness accessories. Business Finance Depot is part of Health Club Experts. It grew naturally out of the need to assist business owners to get financing from other industries besides Health Clubs. We built a solid reputation for years working within the Health Club industry and we started attracting national franchises. 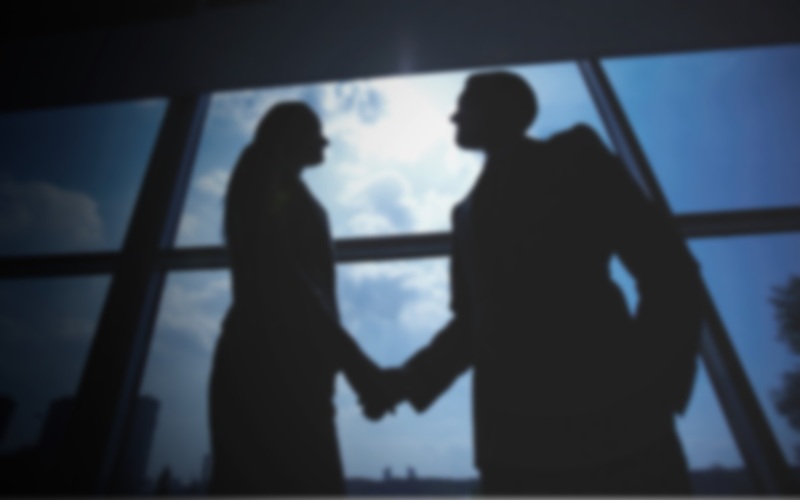 Now we assist several trusted partners in various industries to obtain financing for their new franchisees. Cirque-It® Fitness (CIF) is specialized, small-group training that studios can integrate into their existing footprint and trainers can take with them from gym to gym to differentiate themselves in today's competitive boutique fitness market. Our circuit-style training incorporates techniques and principles of circus arts with a foundation in science and biomechanics. We’re committed to providing safe and effective nutrition products and programs for both kids and adults. Under the guidance of a diverse advisory board, dotFIT maintains the highest standards of product development while strictly adhering to current Good Manufacturing Practices. All dotFIT nutritional product formulas are based on published third-party research, not marketing hype. 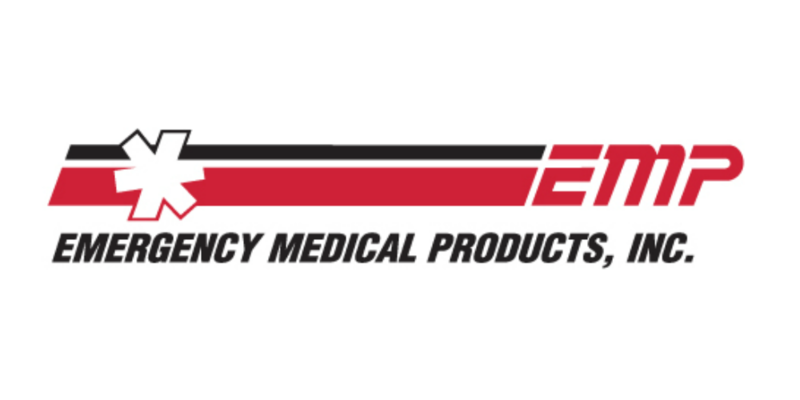 EMP is your fitness studio's single source for medical supplies including AEDs, First Aid Kits, Immobilization Products, and Bleeding Control Supplies. EMP has been providing high-quality medical products at competitive prices to a wide variety of markets for over 40 years. We want to do the same for Fitness Studio owners and professionals across the country. In partnering with AFS, we are committed to being your one-stop-shop for medical supplies and related products. The SKI-ROW by ENERGYFIT is a first of its kind dual-function High-Intensity Interval Training machine. Its flexibility, space-saving design, and mobility are ideal for HIIT boxes, training studios, and fitness centers of all shapes and sizes. The SKI-ROW can be used for rowing-only or skiing-only workouts, but its true value is revealed by enabling mixed-erg workouts and alternative exercise modalities. Heart-Pounding air-flywheel and magnetic resistance will match your effort stroke for stroke. A simple foot-lever press enables the switch from rower to ski-erg and back in less than 5 seconds. From our beginnings as suppliers of great looking equipment, we have grown rapidly and substantially and are now able to offer a truly unique solution to the fitness industry – our four simple solutions: equipment, flooring, design, and training will bring any gym experience to life. Our philosophy is based on fun, not working out. We believe that exercise should be more about play, not work, and our whole approach is designed accordingly. EZFacility provides web-based scheduling, billing, member management and reporting tools for any size gym, health club or fitness facility. Manage trainers, instructors, packages, recurring club memberships, point-of-sale transactions, trainer payroll, detailed financial reporting and even give your members web-based self-service access to purchase new packages and schedule sessions. FitCloudConnect Inc. - The AnyWhere Fitness Connection - is a virtual fitness streaming platform designed for fitness clubs to enable online memberships to complement existing physical club operations. The platform allows for live streaming and/or on-demand access to workouts and other video and audio content anytime, anywhere, and from virtually any internet connected device. Enable your club to go online and generate new revenue, expand your geographic reach and increase member retention by offering the ultimate in choice and flexibility. The Flex Disc ground movement training system utilizes the body's natural movement to increase range of motion, improve strength and movement efficiency to decrease risk of injury. The system can be used on its own or in combination with other functional training equipment such as BOSU, TRX, and cable machines. It is suitable for any age and/or level of fitness. With over 55,000 foods, supplements & beauty products now and over 250,000 recipes coming this spring, Fitness Formulary is an educational resource and retailer that shares its revenue with fitness studios and trainers. Their focus is Functional Medicine - to identify and fight the underlying cause of disease before it happens. The cornerstone of the Fitness Formulary solution is their "Efficacy Engine" which delivers results based upon noteworthy clinical studies on the medical effectiveness of ingredients. 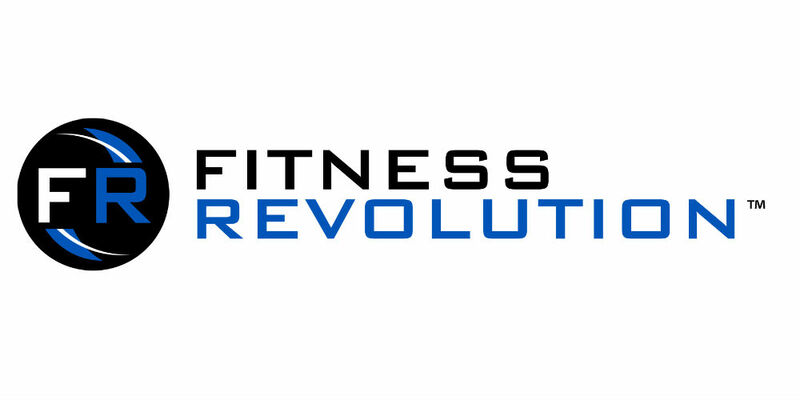 Fitness Revolution helps fitness pros, just like you, create more revenue, maximize your profits, help more clients and free up your valuable time. You're great at getting your clients results but may struggle to create the business that provides you the life you deserve. There's a good chance you're working 6, maybe even 7 days a week and 12+ hour days in your studio trying to make ends meet. Your passion for helping your clients is what drives you but you can't keep up this pace forever. Functional Solutions provides an easy way to create unique, dynamic digital content to distribute across your chosen media. It’s simple, scalable and visual. But most importantly, we put your brand at the center of it all. We believe that digital engagement with clients has become an industry necessity and, concurrently, a big opportunity. We give our customers the toolbox to design and deliver their branded workout content to any device, anytime, anywhere. GRIPBELL is a revolutionary fitness tool that replaces all other handheld, weighted gym equipment. With various grip positions, GRIPBELL can be used for hundreds of movements to safely and effectively challenge your body. Its patent-pending design is the same no matter which weight is used in each set, resulting in saved space and a tool that works the same for all fitness levels and ages. GroupEx PRO is a private, web-based communication portal for group fitness programs. It was created by international fitness educator Shannon Fable and her web-developer husband John Fable. Their mission is to help eliminate the frustration felt by group fitness managers with regard to communication. GymCloud helps fitness professionals tap the potential of online training. By offering high margin online training, your studio can provide clients with powerful online training plans anytime, anywhere. Grow your fitness business with every social media post. GymSocial is a powerful tool that allows gyms and other fitness-focused businesses to find, design, create and schedule posts to social media. Health IQ’s mission is to celebrate health conscious runners, cyclists, weightlifters, vegans, yogis, etc. with better rates on life insurance. That’s because a healthy lifestyle can significantly reduce your risk of heart disease and cancer, which means you should pay significantly less for your life insurance. Health IQ is uniquely committed to making life insurance fair for health conscious people such as fitness studio members. Heart Zones, Inc. is dedicated to getting individuals from around the world fit and healthy. Established in 1993 and headquartered in Sacramento, California, Heart Zones is directed by a dedicated team of veteran professionals led by founder, author, Hall of Fame athlete, and wearable technology expert Sally Edwards, MA, MBA. The company develops innovative technologies and content that includes hardware, software, application programs, and professional development product lines and services. JAMWorkout LLC is a solution-focused software platform for gyms, health clubs and fitness studios that struggle with staffing, retention/attrition, member engagement, and the creation of club culture. Our multi-faceted, member first, technology-based system was designed with the end user in mind, but also to meet the needs of the semi-absent owner/operator. JETRO and Associates is a cloud based CPA firm. 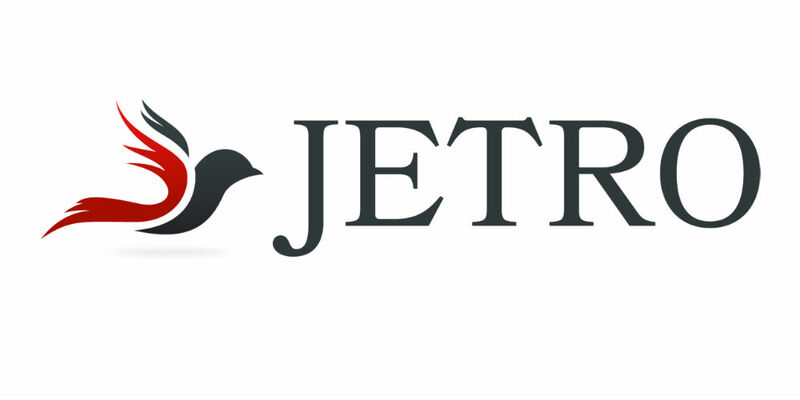 JETRO works with studio and gym owners providing online, remote, and virtual accounting and bookkeeping services. However we do not just simply do bank reconciliations, we ﻿provide﻿ you with reliable and relative reporting and ﻿work directly with you on benchmarking and discussing any items we feel could help grow your business. LEVL has created a new paradigm in fitness and nutrition management through a non-invasive, simple and highly accurate measurement of acetone to calculate fat metabolism using a simple breath. Unlike urine and blood, the LEVL device measures low levels of ketones as the body shifts into an elevated fat burning state making it a useful tool for any diet and fitness plan. Supporting those interested in managing Human Performance, Obesity, Weight Management, and metabolic diseases. Whether you are just starting out or have an established business, LegalZoom has the services to meet your needs. LegalZoom is an easy-to-use, online service that helps people create their own legal documents and access independent attorneys and tax professionals through its legal plans. It's the nation's leading provider of personalized, affordable online legal solutions for families and small business. At Loud Rumor, we love helping fitness studios and independent gyms grow and get more customers. We do this with massive lead generation supported by sales training. We like to think of ourselves as a customer service company that just so happens to be amazing at fitness marketing. The success of our customers is our priority. We offer a full array of Digital and Print Marketing to drive new leads and new memberships. Our staff consists of fitness industry veterans and former club managers so we’re totally in sync with the marketing needs of your studio. We can help you attract and retain new members through proven targeted direct mail, digital, mobile, and guerrilla marketing campaigns. The industry’s largest and most trusted fitness entertainment provider, MYE products include AppAudio club TV audio on smartphones; Cardio Theater style receivers and transmitters, Cardio Machine TVs and wireless CableSAT Channel Changer. Omniball® offers an unprecedented balance of both traditional and functional exercises which will carry you to an entirely new dimension of 360° movement. Resistance, range of motion, and difficulty will increase in relation to the user’s own ability. Omniball® enables any participant to progress at the appropriate pace for their skill level, even for those who may have limitations or are just starting to work out for the first time. Take control of your fitness business with a membership management solution that simplifies operations! The OneFitStop platform will enable you to take control of your scheduling, member management, payment collection, communication, programming and assessment tracking. Take the complexity out of administrative tasks, save time and enjoy taking your business to the next level! 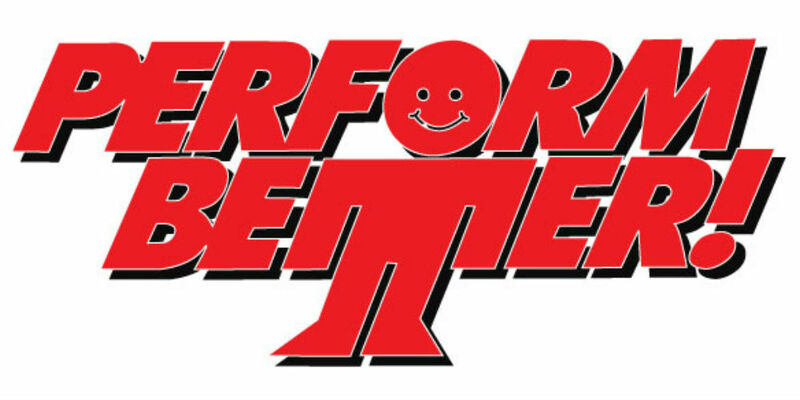 Gain access to the world of corporate wellness with Peerfit. We make it easy for wellness and fitness services to offer their experiences to employees at health-conscious companies across the U.S. Our platform allows businesses like yours to become integrated into employer-sponsored corporate wellness programs that invest in employee well-being, giving employees dollars to use on personalized wellness experiences. education for the past 25 years and will continue to do so in the future. Power Systems mission is to Power Your Potential by advancing health, fitness, and performance for everyone who is a leading resource provider of fitness and performance products for club chains, fitness studios, performance facilities, and home gyms. Recognized throughout the sports and fitness industries for creating an extraordinary customer experience, complete product selection, and fast delivery. Prime Fit Content is your link to engaging clients and prospects over 50. We produce and distribute high-quality, original content that speaks directly to this audience and helps you distinguish your studio from the competition. People in this age group represent a huge growth opportunity for fitness studios, but traditional fitness marketing isn't enough to get them in your door or to retain them as members. You need focused content for your newsletters, blogs and social media accounts to build relationships that build your business. Queup is a multi-faceted media company on a mission to help brands develop deeper relationships with their customers by providing big brand support that can be scaled to suit any business' need. With a focus on lead acquisition, relationship development, brand creative and team building- Queup offers a wide range of premium print and digital products, services and strategies to help take your business further. Use the Railyard to improve results, increase challenge, performance and add interest and excitement to workouts. New equipment needs to provide your youth, adult, active aging and athlete clients a new, verifiable improvement in their workouts and potential clients a compelling reason to choose you as their fitness provider. 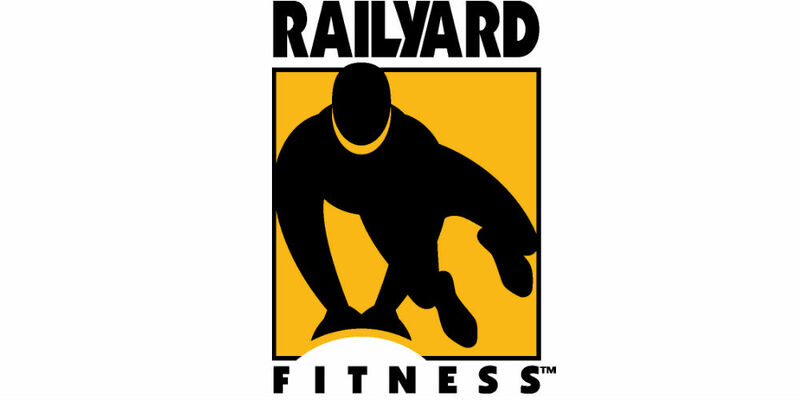 The Railyard is the most versatile equipment you can add to your studio, use it for individual training, group exercise, youth fitness, sports conditioning, and active agers to improve balance and coordination. Save time and money through our Studio systems, software, and support solutions. We provide total solutions for Studio owners from 'Done for you' templates to Business Systems and automated software to help you in all areas of your business. 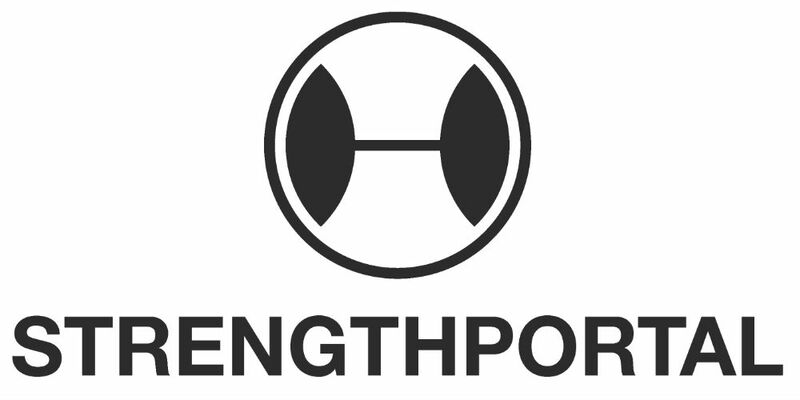 StrengthPortal is a software platform for gyms to manage their personal training staff, track in-person and online training services, and retain gym members. We work with multi-location and single location companies with the goal of increasing your personal training revenue. Strive is the ONLY software designed to track client progress, automate accountability, and capture social proof on demand so you can save time, retain clients AND build your fitness business Strive was designed for fit pros and studio owners BY a fit pro and studio owner. TransNational Payments is an industry leader in payment technology solutions, serving businesses nationwide and being recognized as one of the most charitable and socially responsible companies in the industry. An honest company (in an often not-so-honest industry) — there’s a reason merchants trust TransNational Payments to manage their payments anywhere their business takes them. Virtuagym is a member engagement platform with integrated branded mobile apps. Flexible communication tools enable studio operators to increase member touch points, a key driver for loyalty. Virtuagym’s mobile coaching and community tools deliver a superior digital member experience. VIZpin lets you provide convenient, secure access to anyone with the VIZpin SMART app at the click of a button. Users simply download the app, register, and you can send them VIZpin keys that work 24/7 or on a designated schedule. Managing VIZpin in our easy-to-use portal requires no special training and because it is cloud-based, the latest features are automatically available to you. Our system controllers have built-in, long-range Bluetooth readers so they can be mounted on the secure side of your door out of sight, away from vandals and the elements.